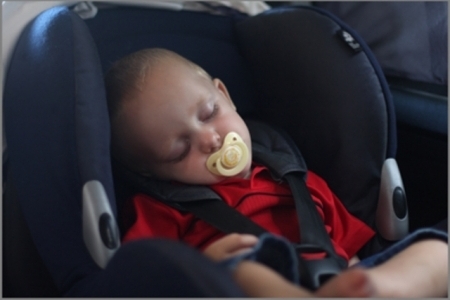 Easy Sleepers™ ensure that the child is not only comfortable but her head in a healthy, upright position that contributes to the safety factors as set out by the car seat manufacturers. Usage of the pillows is not restricted and has been proven successful in snug ‘n safe chairs, car seats, booster seats, prams and strollers. The aesthetical design works with the child’s shoulders to ensure the pillows stays in place and the ribbon joining the two pillows ensure that the pillows won’t fall out. We have added elastics to the back of the pillows for an improved fit on all booster seats. 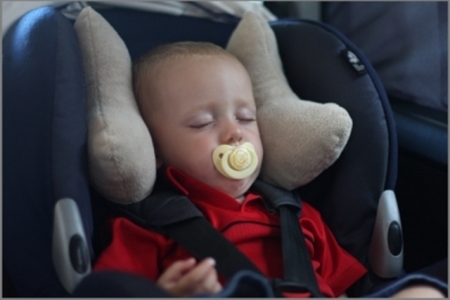 These pillows have become the FIRST infant support pillows in South Africa to obtain full endorsement from the Chiropractic Association of South Africa (CASA) and has been approved for endorsement by the World Federation of Chiropractic (WFC). The only product of its kind on the market that is recommended by a registered Chiropractor. •Suitable from birth up to ten years. •Acts as sound barrier when baby is sleeping ensuring longer naps where baby would normally wake up due to noise. •Does not affix to the seat (as with other imported brands) making it extremely easy to install or remove even when baby has fallen asleep. •Tested by over a hundred individuals over a timeframe of more than a year. •The design works with the users’ shoulders to keep the pillows in place. •Pillows are manufactured from high quality imported double sided toweling that absorbs any perspiration and keeps baby comfortable. •Supports baby’s head in healthy upright position. •Completely machine washable and tumble dryable. •Ribbon at back of neck not even noticeable by baby. •Also used by special-need kids, adults, disabled individuals and the frail. Similar products can be found under the safety category.